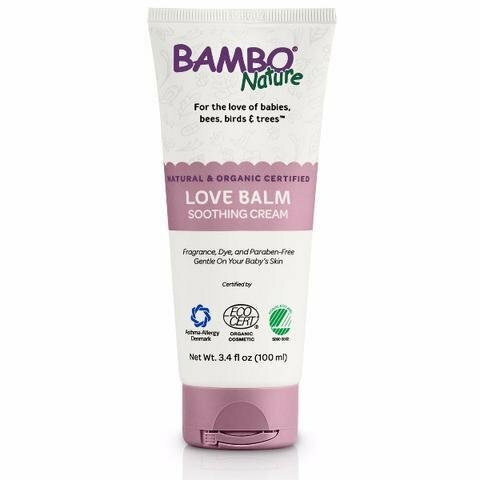 Our Love Balm Soothing Cream helps shield your baby’s skin from excessive moisture. It creates a breathable protective barrier on the skin to keep it soft, smooth and nourished. Love Balm contains natural and organic ingredients, is vegan, dermatologist tested and eco-certified. Cloth diaper friendly!! We only use safe, skin-friendly ingredients to ensure the health and safety of your baby or toddler. Our baby balm has been certified as an organic cosmetic by EcoCert, earned the Nordic Swan Ecolabel, the Asthma & Allergy Denmark label and has been allergen-tested.